Examples of Visual Work Created with Individuals, Couples and Business Partners in Coaching / Personal Growth Setting. My niche here at SHIFT-IT Coach is using visual-interactive methods to literally draw your best, personal thinking out of you. 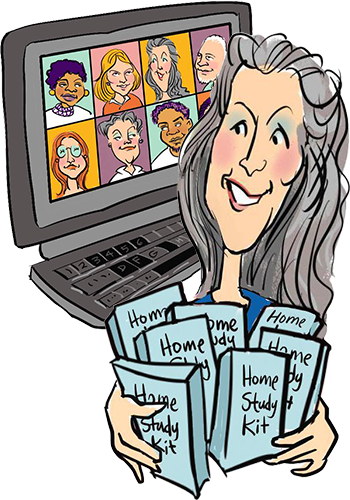 You do have your own answers inside of you – I use my extensive facilitation, coaching, hypnotherapy, law of attraction and interactive-visuals skills to literally draw them out of you! 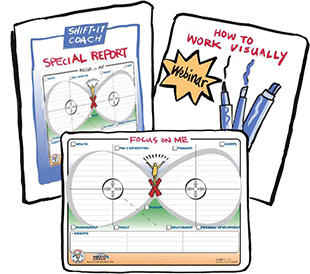 Over the course of a decade, working with hundreds of people, I have created The SHIFT-IT Visual Coaching Process® – the examples in my current portfolio are from different stages of the process. Some of my work is done face-to-face and some of it is done over the phone. And some is done by clients themselves using my do-it-yourself SHIFT-IT Tools. Whatever the option, visuals are used to mirror to you (and reflect to others if you care to share) what you really, really want and who you are in the process of becoming – your fabulous Next Self! All rights reserved. © SHIFT-IT Coach, Inc.